Mobile application stores are the biggest market in the digital world selling millions of applications from all platforms. App store optimization refers to the process of increasing visibility, downloading traffic and many more in all major platforms such as IOS, Android, Blackberry Os, and even Windows. Generally, the prior aim of app store optimization is to encompass activities focusing on increasing the conversion rates of app store impressions into downloads, also collectively referred to as Conversion Rates Optimization. Making the apps increase its visibility so that viewers can easily find the apps on the store. Getting a higher rank than the competitors. Setting and planning with keywords and ranking higher in Google semantic search. Marketing of the applications to increase conversion rates. There are two major methods of implying ASO into your business application and selected app store. It is one of the major works of an ASO marketer to optimize the keywords in the Meta tags of the apps to increase its ranking as per the algorithms of the app store. This ensured by relevant and a mix of keywords in the Meta tags. But mind it, no keyword stuffing! This process refers to optimizing the app’s assets such as icons, photo, reviews, screenshots etc. All the aspects and app variants are optimized time to time and tested as per the conversion rates of each asset through a process of A/B testing. What makes ASO beneficial for your business? While optimizing, marketing and development of a business website are vital for an increased sales and revenue, it is equally important to ensure that your mobile application is generated the same expected revenue for your business. 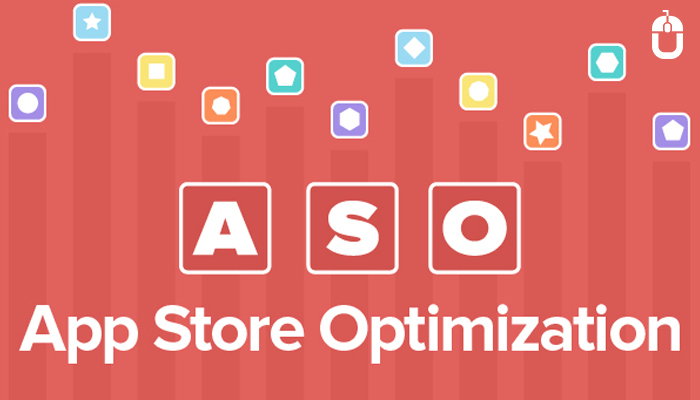 The following lists the 5 benefits of ASO that will surely change the way you think about optimizing your app. ASO is the best option in driving your organic install thereby lowering your acquisition cost. It also appeals to the customers not even looking for that particular app. However, simple pitching can sometimes get you traffic. Each campaign and optimization activities performed to keep your app ranking high is target based. Right audiences are targeted through artificial intelligence and through the genre of your application. This makes it easier for relevant peoples to find the app. As the quality and quantity of your application traffic increases, the number of download increases as well. This is where ASO intends to show you actual results. Rocket boost your revenue in no time. Optimizing an application and keeping it updated over time and trend keeps a sustained to the application. This leverages the software to lead the market in the longer run. SEO looks after SERPs but does not much impact application rankings in the app store. A generic keyword optimization in the app’s metadata can do the job. ASO is therefore enough in boosting your application as well as the website linked to it. With a high-end career scope, App Store Optimization is an important designation for most of the business in today’s world. Proideators is a leading institute to learn and certify to secure your career in app store optimization.